These replacement wicks fit all of our dragon staff models. The important factors to consider when examining dragon staff wicks are their length, durability, removability, and minimum exposed metal. The normal Dragon Length are 6.5” spokes are primarily made of 1/4” steel cable. This extremely stiff cable provides a small amount of shock absorption that prevents hard drops from damaging the spines or their connection points to the dragon staff body. Each cable has a threaded rod on one end, enabling easy screwing and unscrewing from the dragon staff body. 2" wicks are firmly attached to the other side of each cable. These wicks have an approximate 4:00 minute "white gas" burn time. The Pixie Dragon Length are very similar in construction but are 5.5" in overall length and use a 1.5" wick. This size has an approximate 3:15 minute burn time with white gas. Most severe equipment burns come from searing-hot exposed metal, not from the wicks. 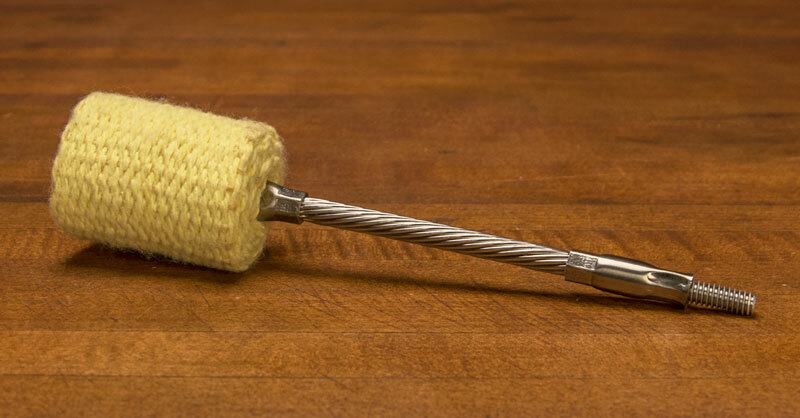 The wicks on the staff and the spokes are attached with recessed rivets (less exposed metal than screws and no need for re-tightening), and the staff ends are covered with two wick layers, creating a long-lasting cover for a potentially sharp and hot metal edge.